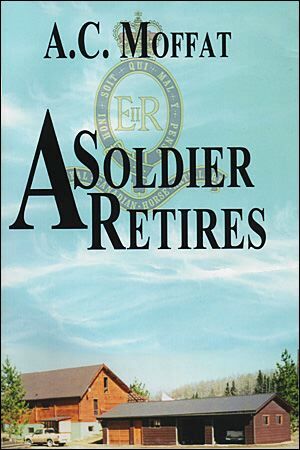 From early in my Service career I had adopted a firm policy that when retirement came due I would take my release before being compelled to do so, thus making it my own decision and never having the feeling that I had been “forced out”! There was a second part to that decision — I would never do as a civilian anything resembling what I had been doing as a soldier! I wanted my mind to remain active and grow! With the help and support of Daphne I did just that — but rather at a much greater extreme than anyone — myself included — could have imagined! In a sense this is a love story! And try to picture what your life will be like in your own retirement! We had become the very definition of a “Mixed Farm” — with the sole exception that we grew no grain: we had sheep, horses, goats, turkeys, chickens, ducks, geese, pheasants, rabbits and pigs. One year Chris raised a couple of beeves. We wanted to be as self-sufficient as possible; we had a lot of visitors; and, we had a growing family beyond the three of us. We both loved animals and the challenges that they presented… and probably most important of all, we were having fun! We were not only living and loving a new world… but we were creating one to our own taste!